all our efforts were concentrated on designing and assembly. single joint fingers, and an expandable palm. Basically, a robotic hand till the elbow. movement, one for the wrist movement, one for the elbow movement and one for the forearm movement. compact compared to the circuit with relays, which would have required 16 relays as per our design. 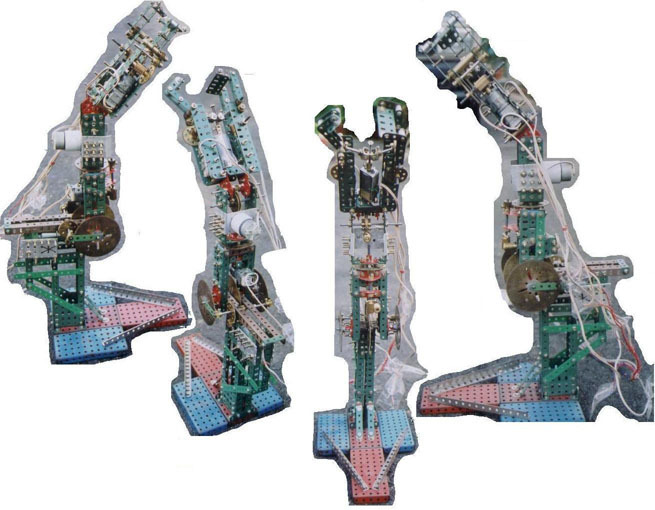 The desired action of the robotic hand is controlled with the help of software in ‘c’. We have used c because of our familiarity with the language.